Wigan coach Shaun Wane is just pleased that they will play at the DW Stadium in the semi-final play-offs following their win at Huddersfield. The Warriors won 13-6 in ugly conditions against the Giants in the penultimate game of the Super 8s at the John Smith’s Stadium on Thursday night. As a result of the victory, Wigan secured second spot in the Super 8s and will play at home in the semi-final play-offs in two weeks’ time. Wane said he was just happy his side clinched the home semi-final, he said: “It was job done for us. “It was testing conditions and losing Tommy [Leuluai] on Thursday was a disruption for us. “To be honest, I just said to the players before the game and at half-time that I just wanted to win the game and I told them to win at all costs and they did that, so the players were great. There were things I could pick holes in but they have done what I asked them to do so I am happy. As the Super 8s table currently stands, Wigan are likely to host third-placed Castleford Tigers in the semi-final play-offs and Wane is expecting a huge clash. 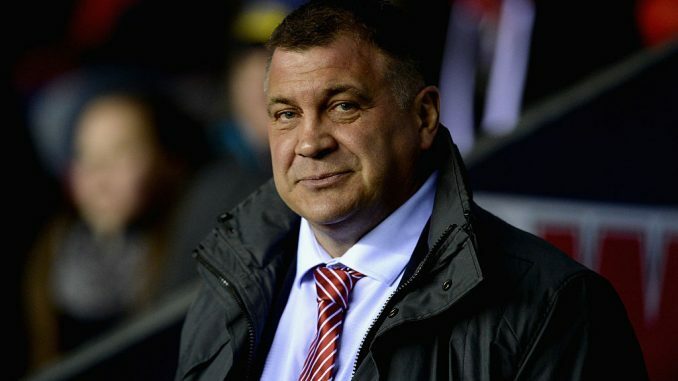 Wane added: “Getting the home semi-final was important. “It is going to be tough for us whoever we get at home but we will show whoever we play in the semi-finals the respect that they deserve.